I had a lot of miles ahead of me. I was about to depart on a 3-week solo itinerary that would take me from the Northwest to Paris to New York City to a cruise along the New England coast before coming home in mid-October. My husband was staying home for endless meetings and first-of-the-month reports. That just didn't seem fair. I'd worked a lot of extra hours finishing the assignments that would be due while I was gone and I was stressed out and irritable. And, to be honest, I felt a little guilty about leaving my husband with the house and the pets to care for while I got to see some wonderful destinations. So I treated us both to a little getaway before I got away and booked one of Cedarbrook Lodge’s custom “Mancation” packages . We drove over on Friday and had lunch with our son in Seattle, who was just back from a trip to India, before driving on to the resort. We checked in and walked along the shaded path to our room on the Northwest side of the “Spruce” building. The wide window opened right into the treetops, giving us a “treehouse” feeling of isolation and solitude. While my husband settled in and explored the grounds (His first stop: checking out the unlimited chips, candies and cups of Haagen Dazsin the “living room” of our building) I went directly to the spa. My first appointment was with the friendly Sunshine for her sea salt scrub. The combination of massage, aromatic essential oils, and the exfoliating properties of the salt salt made me feel like a new person. Then, still pre-treating for intense travel, I spent a quiet hour with Jamie getting the spa’s hydrating facial. I left feeling like I'd shed all the tension I'd been carrying and could handle anything the next three weeks brought my way. We reunited for our dinner reservation at Copperleaf, the lodge's premium restaurant focusing on French-inspired Northwest cuisine. The Copperleaf menu is creative and the food is delicious. I had the scallops and they were fantastic. Perfectly caramelized and paired with fresh locally-sourced vegetables, the dish was one I would come back for again and again. My husband opted for the decontructed chicken pot pie, with the chicken and seasonal vegetables arranged separately on his plate. He ate every bite. Tiny demitasse cups of the restaurant’s signature vanilla cream hot chocolate accompanied by miniature donut holes were the perfect finish. No other dessert was needed. Saturday was his "Mancation" choice and he opted to take the Road Dogs Brewery tour. We joined the Road Dogs van downtown and spent the next three hours tasting beer at three outstanding Seattle breweries: Georgetown, Hale’s and Hilliard’s. Our driver, Jason was a true beer enthusiast and a lot of fun. Tip: Even if you sip and pour at each stop, you will taste a lot of beer on this tour. We booked a Town Car to take us into the city and pick us up and we were glad. No need to fight for Seattle parking and no worries about drinking and driving. At the end if the tour the car was waiting for us and whisked us back to Cedarbrook Lodge. For Saturday night’s dinner we indulged in Copperleaf’s unique tasting menu and wine pairing. It was an outstanding evening of delicious food and fine wines. Sunday's noon checkout allowed me to get all my work wrapped up and have a relaxing morning, lingering over coffee and the lodge’s continental breakfast before my husband drove back to Spokane and I prepared to fly to Paris the next morning. It was my first stay at Cedarbrook, but it won’t be the last. 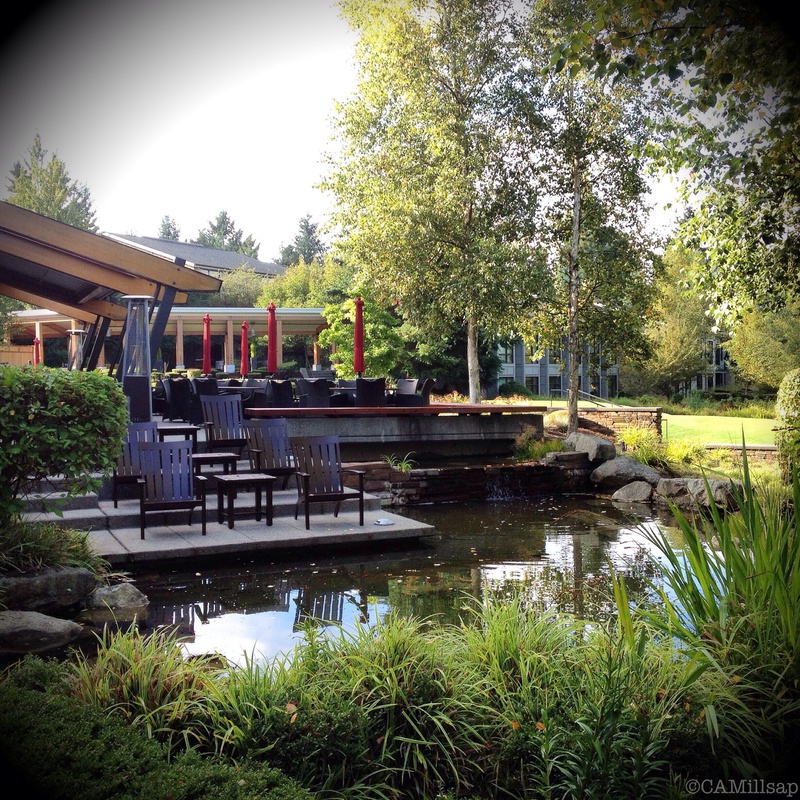 The 99-room retreat is only minutes from the heart of Seattle but it feels as though you’re completely removed from the noise and traffic of the city and the airport nearby. It’s the perfect place to recharge before or after a long trip--like a cruise from the Port of Seattle.